E. G. S. Pillay Engineering College is one of the pioneering non-grant engineering Colleges in the State. 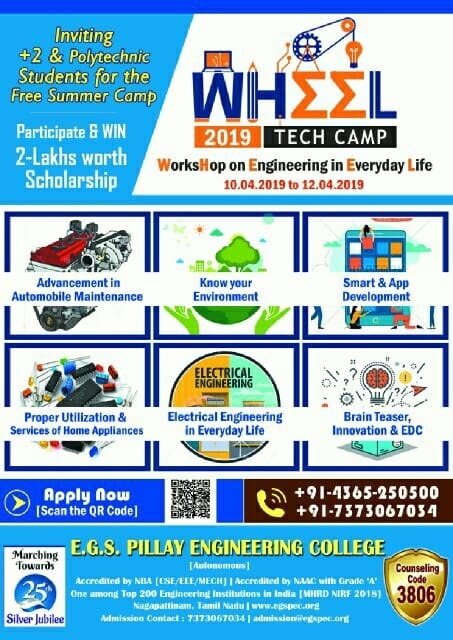 It was established by the G. S. Pillay & Sons Educational & Charitable Trust, Nagapattinam in the year 1995 with the sanction of the Government of Tamilnadu, approval of the All India Council for Technical Education, New Delhi and affiliation to Bharathidasan University, Tiruchirapalli. 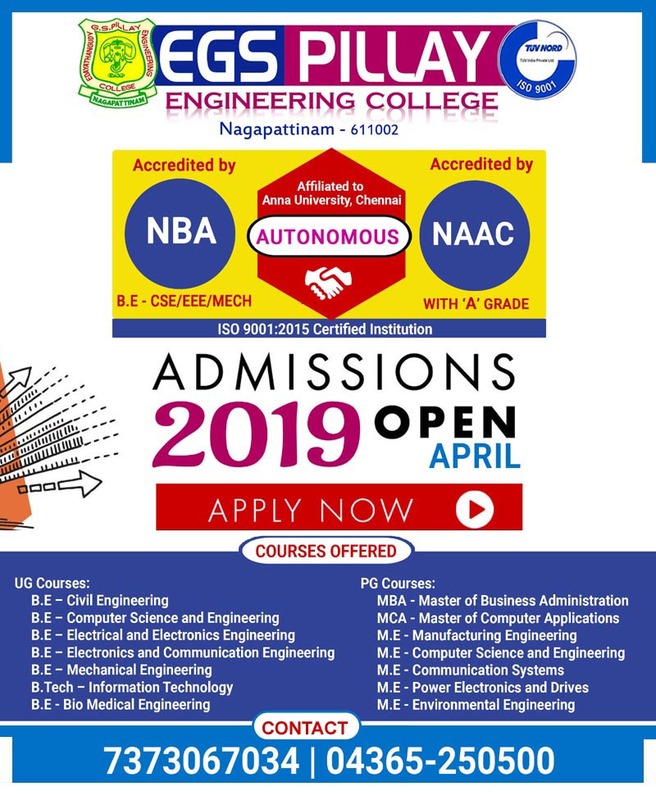 Its courses are affiliated to Anna University, Chennai, from 2002 and the degrees are awarded by Anna University, as per the Government Orders. The College has earned the reputation of being one of the most preferred colleges by the students and parents all these years. Known for its excellent infrastructure and facilities for learning, the outstanding non-grant engineering college has registered impressive performance consistently. A gate-way to success, the college has now set on long-range planning to enlarge and enrich its programs and activities to empower the youth who aspire to become successful Engineers, Scientists and Managers. A gate-way to success, the college has now set on long-range planning to enlarge and enrich its programs and activities to empower the youth who aspire to become successful Engineers, Scientists and Managers. My Gratitude and appreciation to the EGS Pillay College Finding technical Education to the Socio Economically background in Tamil Nadu. My appreciation to the Parents and Teachers for producing 31 Gold Medalist, 100% placement. Wish all the Success. EGS Pillay Engineering College – Rural background college and produced students as highly talented and qualified in social market. It is a talent pool for students and teachers acquiring knowledge and platform to success.